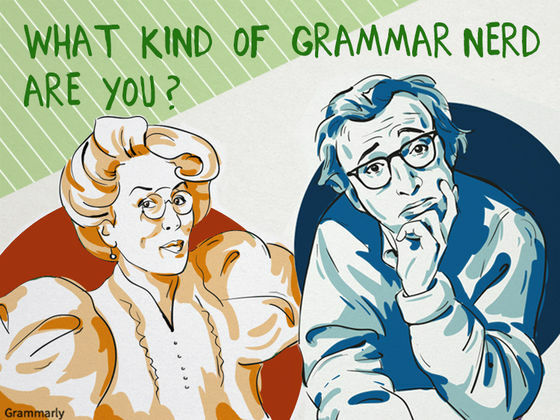 Today is National Grammar Day in the US and to celebrate this joyful occasion, Grammarly, a company providing a spell checker and grammar checker with the same title, has published a quiz: What kind of grammar nerd are you? It contains questions on usage problems, such as preposition stranding and the split infinitive, as well as on your attitudes towards textspeak and other usage conventions. For those of you who always wanted to know whether you are a Pedant’s Grammarian or Enlightened Grammarian, simply take the quiz and find it out!